As a growing industry, more and more people are hearing the phrase “home performance” when it comes to their heating, cooling, and energy needs. While the popular attention may be recent, our company’s history with home performance and energy efficiency in Sacramento is a long-standing one. We service all aspects of commercial and residential home efficiency, including new construction, retrofits, HVAC services, and more. Our team has years of experience serving both residential and commercial customers throughout Sacramento. Our customers include CalTrans, Regional Transit, and Carmichael Elementary School. Whether you’re looking for an emergency HVAC repair in Midtown or a window quote in Arden, we’re more than happy to come out and take a look and work with you to create a plan that works for you to get you the best service possible. 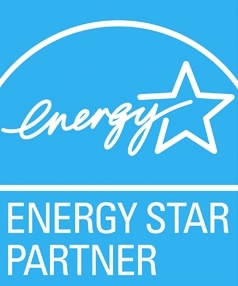 At California Energy Services, we utilize home energy audits to establish the most pressing issues in your home’s efficiency, and crunch the data into a custom homeowner’s report detailing how much you would save on which potential upgrades. We take great steps to make our proposals as cost-effective as possible, and we’re excited to offer new PACE Programs like CaliforniaFIRST and Ygrene, or help you qualify for utility provider rebates with Energy Upgrade California. From Folsom Blvd to Old Sac, we provide the best home improvement options and most affordable costs for new windows, heating, and air conditioner systems. For customers interested in learning more about renewable energy options, we can also provide you with a detailed solar analysis to demonstrate how your property would benefit from solar energy. This is not cookie-cutter solar — this is a tailored individual solar solution. As the summer heat continues to thrive, most Sacramento homeowners start reaching for the thermostat and clicking that old AC on. Whether you have time to schedule a service or you need an emergency air conditioner repair, our local NATE Certified heating and AC technicians are trained to repair any HVAC system. For the colder times of the year, we provide a range of energy efficient heat systems to Sacramento home and business owners. From replacing the furnace or heating system to upgrading the hot water heater, we’ll keep you warm all season long with 24-hour services. Contact us to learn more about our Sacramento area services, including stopping by our Milgard showroom or scheduling a free project evaluation! HOME PERFORMANCE IS WITHIN YOUR REACH! "You guys are very professional and answer all questions and timely manner"
Excellent service, clean, prompt installation process. Will definitely use you again!!"